It is just over a week until Australia Day 2015, when we get to celebrate the unique and diverse culture of our country. So this year, rather than just watching the Honours List announcements and fireworks on TV – celebrate our great country in patriotic style with a cruise around Australia. Here we present five of our best Australia Day cruises. 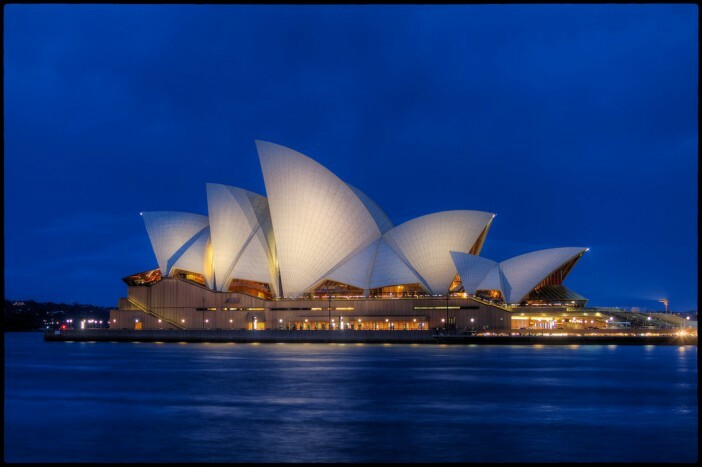 Where better to start than the cruise dedicated to the big event, the Australia Day cruise sets of from Brisbane on the P&O Pacific Dawn and sails to Sydney as part of a 4 night adventure. Returning to Brisbane, the short cruise gives you a chance to enjoy the fireworks and atmosphere in Sydney on Australia Day. Bound to be full of festive cheer, the cruise has been devised to allow all Aussies the chance to celebrate their heritage and their beautiful country. The P&O Pacific Dawn has been sailing out of Brisbane since 2009 and has become almost a part of the city’s furniture. Celebrate the stunning nature and unique scenery in Australia with a cruise taking in nature parks and secluded islands. The seven night cruise is jam-packed with visits and excursions, giving you the chance to enjoy many of Australia’s most incredible sights. As well as visiting the Lizard Island National Park, the cruise also visits Pelorus Islands, Dunk Island, Fitzory Island and navigates the Great Barrier Reef. The small scale Coral Princess II creates an intimate atmosphere and is capable of reaching destinations most cruise ships are too large to approach. Like the James Joyce novel of the same name, this Odyssey around Australia and New Zealand is a winding and enthralling trip into the heart of the region and its people. The 16 night cruise aboard the Seabourn Odyssey departs from Sydney and visits Melbourne for a night before continuing on to the Fiordland National Park and cruising on to New Zealand. The cruise takes in Timaru, Wellington, and Picton before concluding in Auckland. The Seabourn Odyssey is a luxury standard cruise ship complete with private verandas and a selection of world-first features. Celebrate the heritage of Australia with a cruise to the very heart of Aboriginal country. Explore the timeless stretches of Swan Reach, Ngaut Ngaut and Younghusband on this educational and informative cruise. What better way to celebrate Australia than to rediscover the land with was inhabited before the British came sailing over. If you want to celebrate Australia Day but have already dedicated this year’s holiday allocation elsewhere, the Coral Coast Discovery cruise in April 2016 gives a beautiful insight into the relaxed life of the west. Sailing from Fremantle, passengers have the opportunity to explore the neighbouring city of Perth before taking to the seas. The cruise then navigates the Coral Coast, stopping in the beachside city of Geraldton and the popular town, Broom before returning to Fremantle. The P&O Pacific Eden will become the newest member of the P&O Australia fleet when it joins along with sister ship Pacific Aria in November this year. These are just a few cruises from the thousands available through Cruise1st. For a full range of cruises, visit our homepage or call us now on 1300 857 345. Images sourced via Flickr Creative Commons and P&O Cruises Media Center. Credit: Pedro Szezkely, Rling, Dan Hayes and P&O Cruises.